A close-up of hands holding a red and silver hammer, poised over a single nail. The image stands out on a black background. 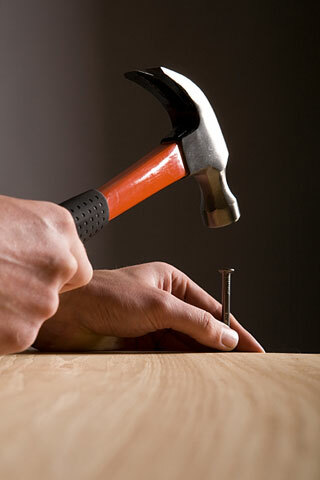 Home improvement loans make it possible to make enhancements and repairs that allow you to call your house a home. Fix your roof, remodel your kitchen, add a bathroom, or improve the quality and comfort of your home with a home improvement loan. Choose your mortgage lender, an affordable repayment schedule, and the amount of money you need to make improvements and repairs. Get started, and watch your home be transformed. Use the search box on this page to find information about home loan and home improvement topics.